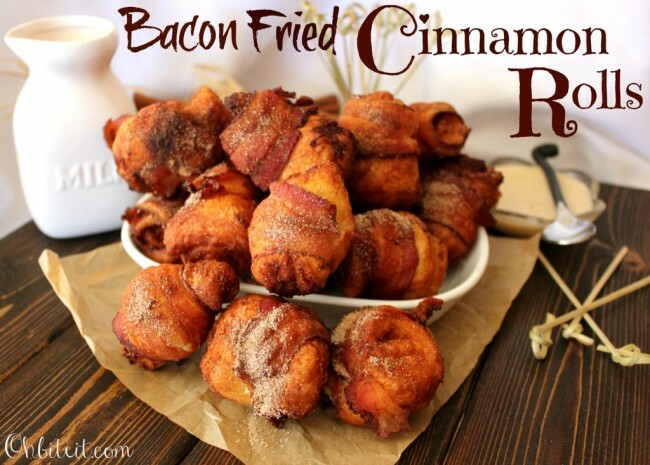 Recipes, Projects & More - Bacon Fried Cinnamon Rolls! I love this recipe. As I have mentioned before, I love bacon. It is one of my all time weaknesses. So I fell in love with these fantastic treats on the first bite. Yummy!!! This is a must try for every household. Every bite is tender and moist and packed full of flavor. This will be a family favorite in no time.